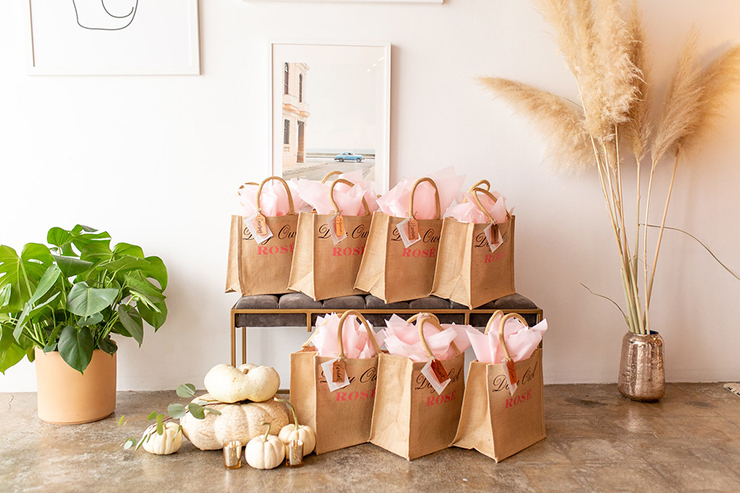 Friendsgiving is the perfect party, because all the guests invited are VIPs. 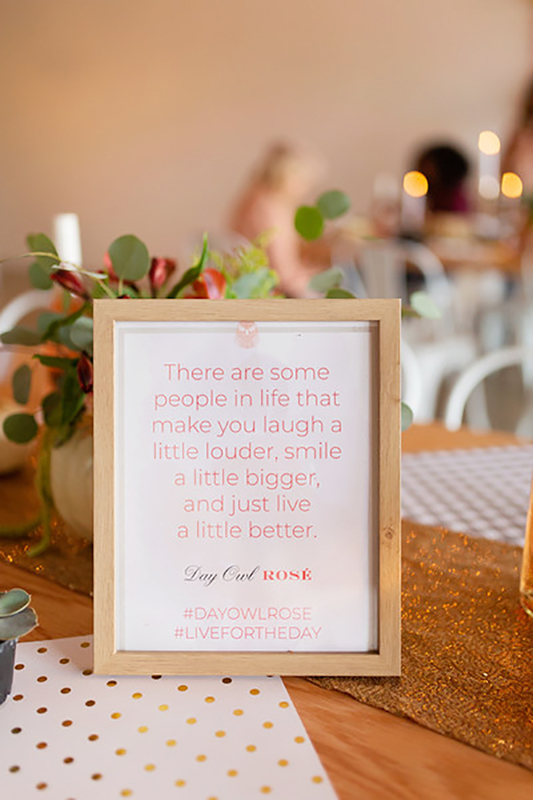 It is the perfect opportunity to gather your besties, eat some food, and enjoy a glass of delicious Day Owl Rosé. 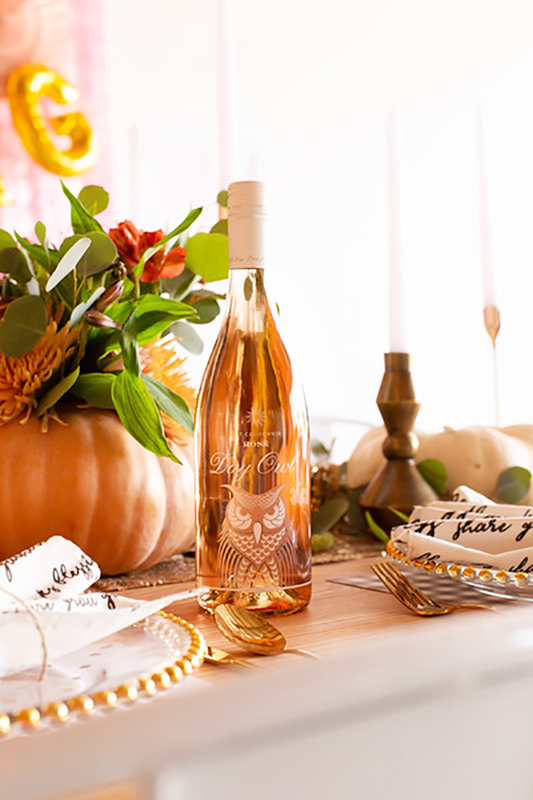 Day Owl Rosé has a bright, fruity, citrus taste that goes perfectly with all the delicious holiday dishes. 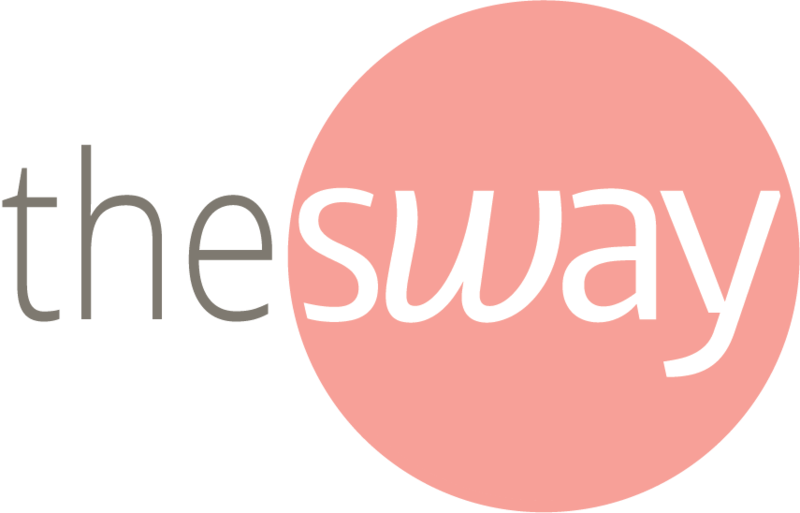 We also love that it is a beautiful pink color, and goes perfectly with our gold, blush, and coral soiree! 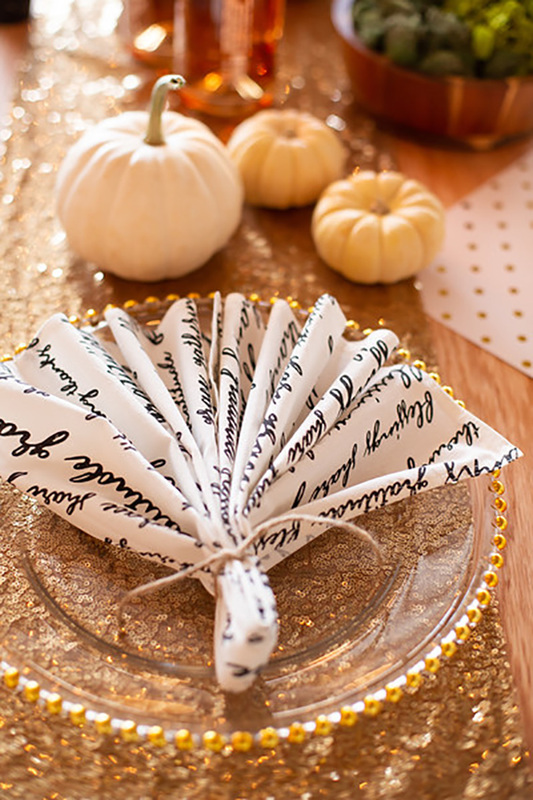 Thanksgiving is traditionally decorated with yellows, browns, and reds, and is quite drab. However, Friendsgiving is the exact opposite. 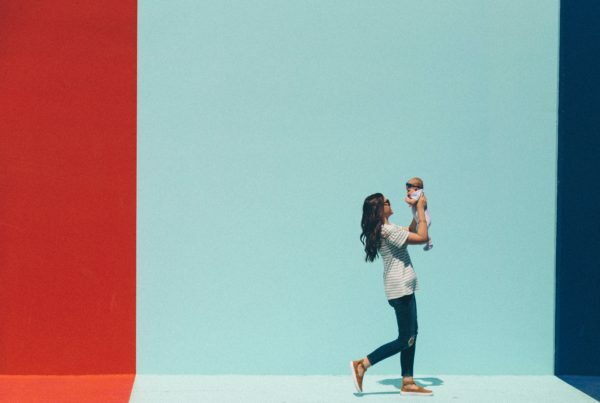 It should be bright, girly, non-traditional, and beautiful. 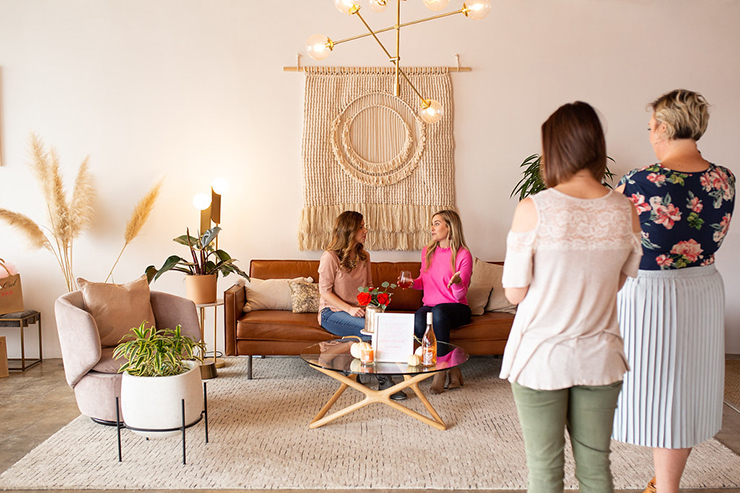 A get-together of girlfriends is the perfect excuse to make the table extra fancy and gold. We also loved the beautiful pumpkin centerpieces. 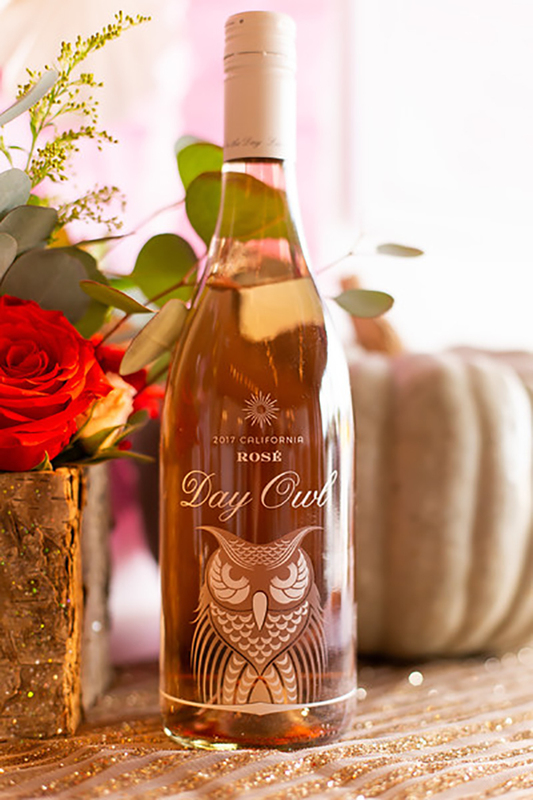 Day Owl Rosé is made with an Italian grape called Barbera. 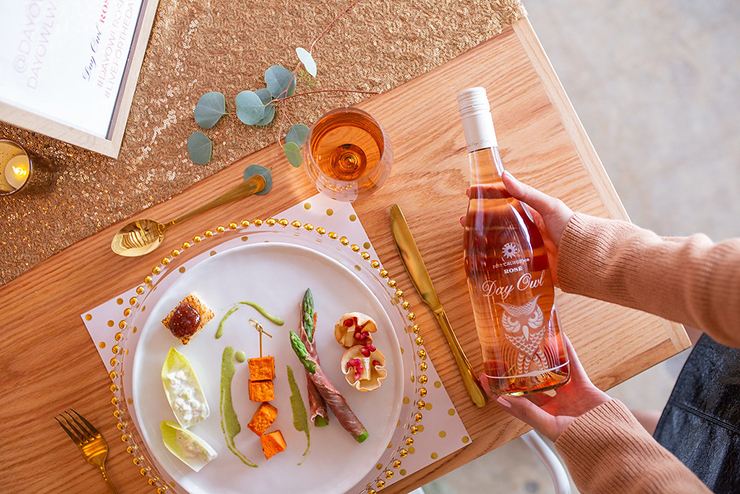 Barbera is meant to be enjoyed young, which is the perfect excuse to enjoy Day Owl Rosé the moment you buy it. No need to let it age. 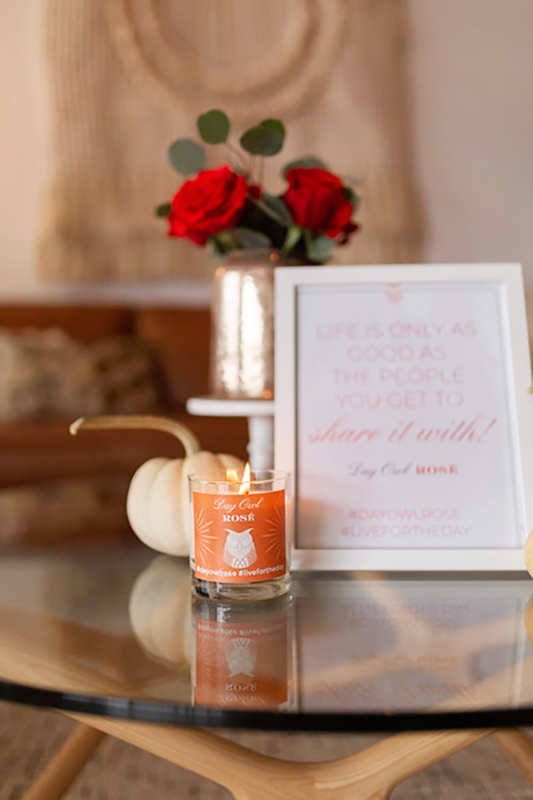 It is perfect for the holiday season, and for those who love to seize the moment. 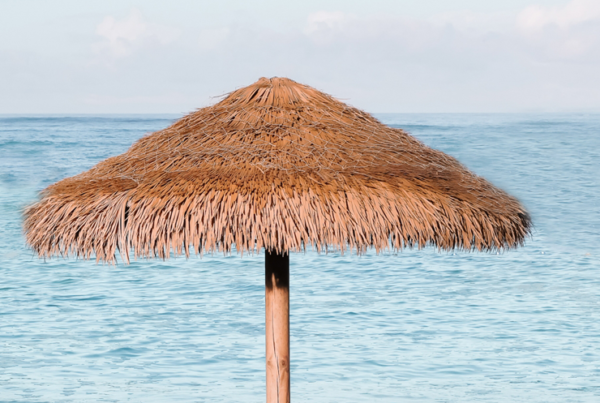 It’s a crisp, fruit-forward California wine that’s perfect for whatever the day brings you. 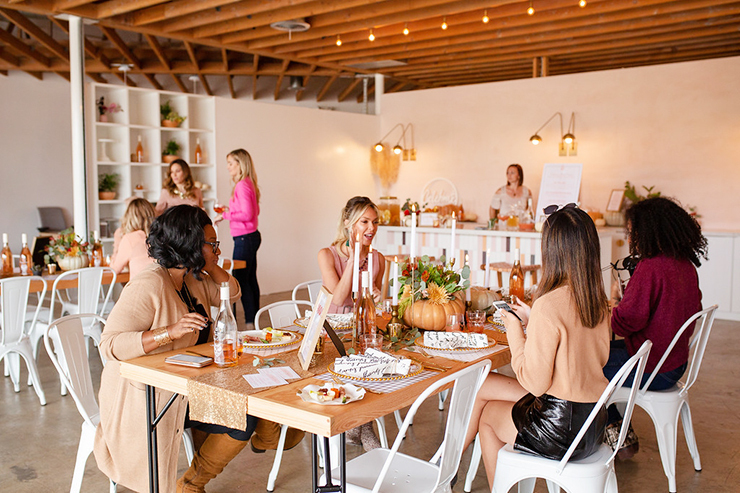 Our favorite part of the Day Owl Friendsgiving was getting to taste all the delicious drinks that can be made with Day Owl Rosé. The Apple Sangria and the Ruby Rosé cocktail were simply perfection. Apple Sangria is the perfect welcoming drink to warm up your guests. 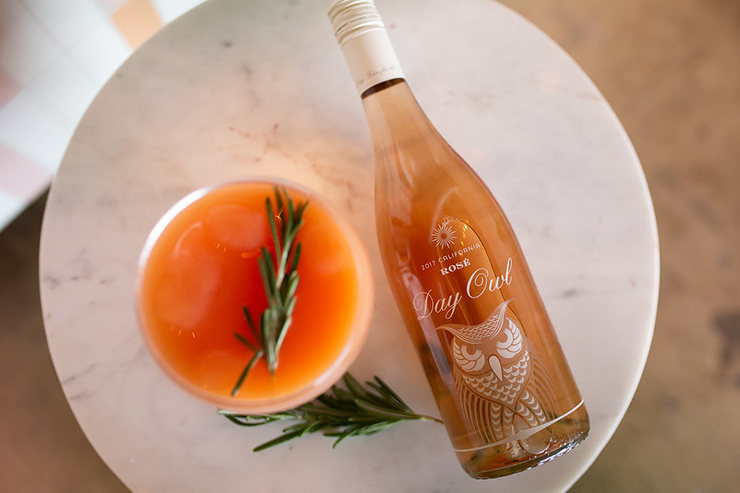 The Ruby Rosé cocktail is a delicious tart blend of Day Owl Rosé, gin, and grapefruit juice, and pairs perfectly with dessert as an after-dinner treat. 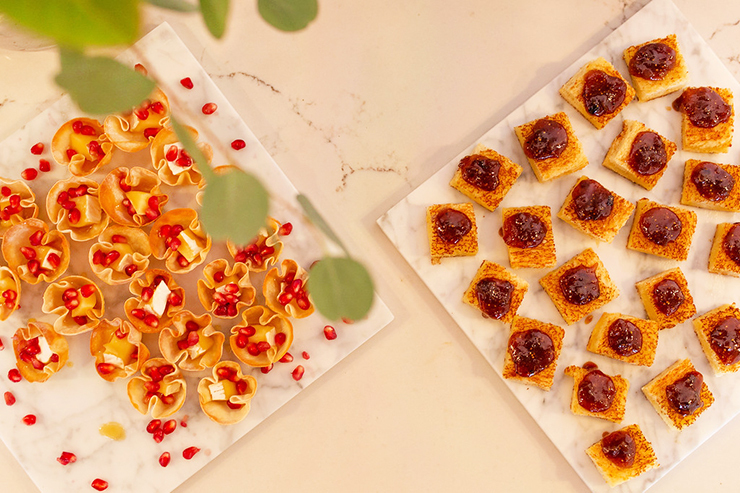 As the old saying goes, “Friends are the family that you choose.” When you host a Friendsgiving you only want to choose the best to serve your guests. 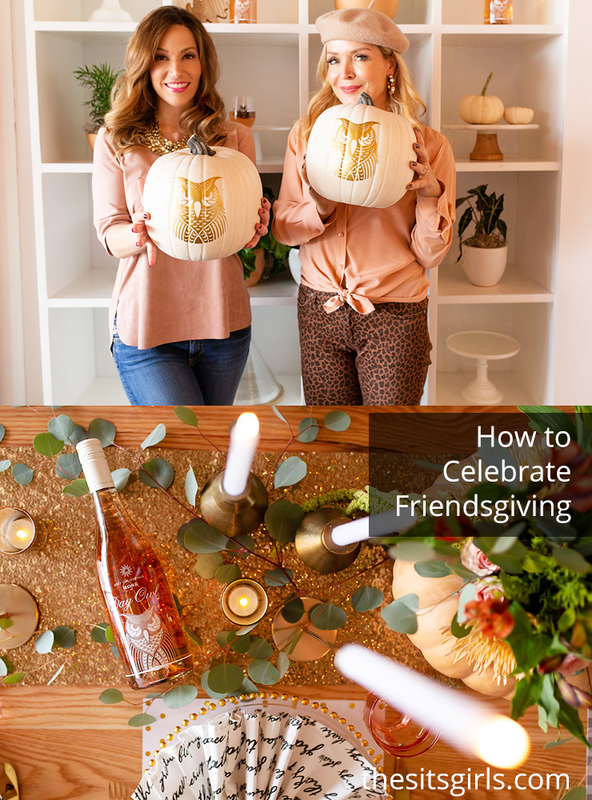 Day Owl Rosé is the best drink for celebrating Friendsgiving and all the holidays. 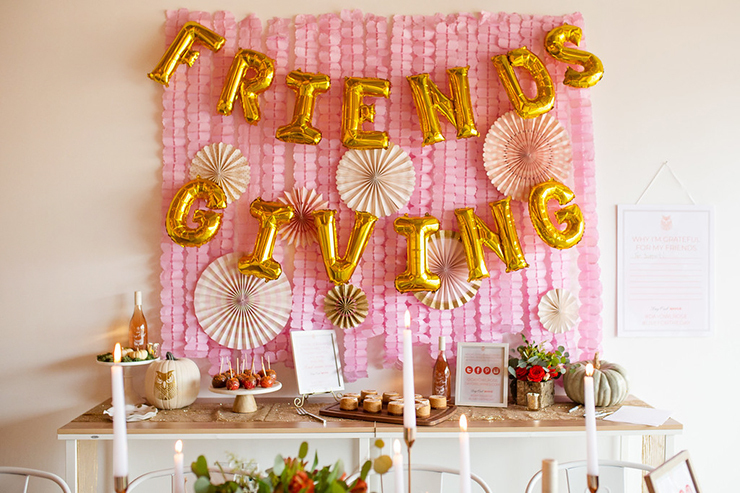 Break from the ho hum of Thanksgiving, and try hosting a fabulous Friendsgiving. 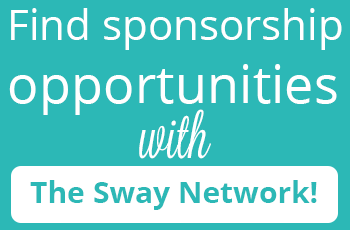 We promise it will be the best event you celebrate this year! Cheers! 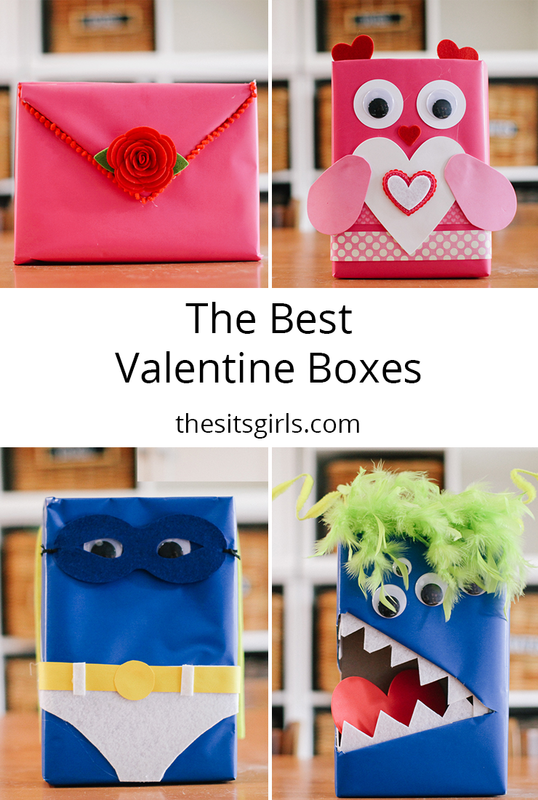 This is a sponsored post written on behalf of Day Owl Rosé.